That You Were Never The Same? Antelope Island State Park is the largest island in the Great Salt Lake . 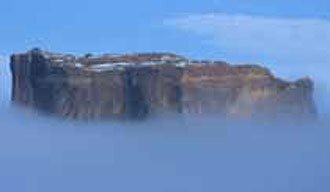 Covering 28,463 acres, the island is 15 miles (24 km) long and 7 miles (11 km) wide at its widest point. 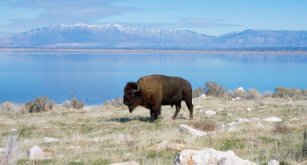 Wildlife viewing opportunities abound in Antelope Island State Park Utah with a herd of 600 bison, deer, coyotes and antelope. The many backcountry trails provide fantastic opportunities for wildlife sightings. And the Great Salt Lake is right in the middle of some of the best bird watching habitat anywhere. The visitor center gives a little more background information on this island park's unique biology, geology and history. From Salt Lake City, you head north on I-15 to the city of Syracuse. After driving approximately 30 miles (48 km), head west on U-127. Exit 335 -Syracuse/Freeport Center. Just follow the signs to the Davis County Causeway. 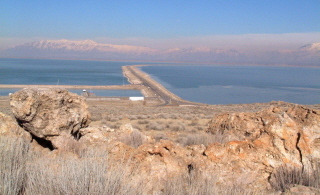 The causeway is a 7.5 mile (12 km) long earthen dike and paved road leading from the mainland to Antelope Island State Park. A scenic drive on its own. The original causeway, constructed in 1969 by the State of Utah, was washed out frequently by heavy wave action in the early 70's. It was raised slightly and reopened each time. By 1985, the yearly rise of the lake made it a hopeless cause. It remained completely under water for several years. As the lake receded in the late 80's, the causeway reemerged. But in poor condition. It was rebuilt in 1993 for a total cost of $5 million. A $2 charge is included in your entrance fee to Antelope Island State Park to help cover ongoing maintenance costs. Antelope Island State Park covers 28,463 acres. Average elevation is 4,200 feet. The highest peak - Frary Peak – reaches 6,596 feet. The park is open year-round. The stay limit is 14 days. There are 75 total units. The maximum RV length is 35 feet. The camping fee is $11. Group camping is $1 per person. The day use fee is $8. Facilities include drinking water, modern restrooms, showers, vault toilets and waste disposal. Reservations for camping are required. 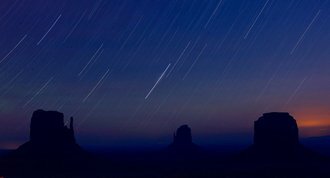 Call Utah State Parks and Recreation at 801-322-3770 if you’re in the in the Salt Lake City calling area. Or call toll-free 1-800-322-3770 between 8 a.m. and 5 p.m. Monday through Friday. You can make individual campsite reservations from three days to 16 weeks in advance. 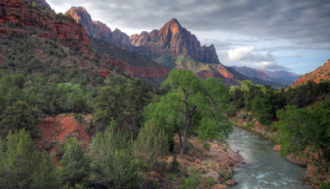 A $6.25 non-refundable reservation fee is charged for each site reserved. A $10.25 non-refundable fee is charged for group sites and building rentals. An additional reservation fee will be charged for any changes to existing reservations. Visa, MasterCard and personal checks are accepted. A $5 fee is charged for an extra vehicle. One of the most intriguing features of Antelope Island State Park is the variety of wildlife. Despite its name, the island’s best known inhabitants are the hundreds of bison roaming the island. The herd varies from 550 to as many as 700. Not only is it one of the largest publicly owned bison herds in the country, it’s one of the oldest. Some estimates put the population of bison roaming North America prior to European settlement at 50 to 60 million. But by the 1890s, they had been “hunted” to near-extinction. Not hunted really. Exterminated. As few as 800 remained! Without quick and massive efforts by conservationists to save the species, they would have very quickly become extinct. Two Utahns, William Glassman and John Dooly, brought bison to Antelope Island in 1893. Today, the bison herd is managed to maintain a population of 550. New calves born each March through May swell the population to more than 700. If the herd was allowed to exceed this number, the island’s grasslands would soon be overgrazed. This fine balance is maintained through vigilant management. The large herd flourishes while providing a suitable habitat for other wildlife species. The annual bison roundup at Antelope Island State Park Utah takes place at the end of October. It’s one of the great fall spectacles in northern Utah. A team of horsemen and helicopters drive the bison to corrals on the island’s north end. There they are vaccinated and given a general health evaluation. Excess bison are sold at auction. A few are designated for the annual bison hunt in December. The Division of Wildlife Resources oversees this hunt. You’ll find several other species of mammals on the island which is Antelope Island State Park. The Great Salt Lake’s shoreline marshes provide some of the best bird watching habitat in the state. In fact, it’s right in the path of one of the most important flyways for migrating birds in North America. The nearby Bear River Bird Refuge and the state’s Farmington Bay Waterfowl Management Area are unparalleled. Prodigious numbers and varieties of migratory birds make their home here. Antelope Island State Park attracts a diverse mix of migrating and nesting birds. 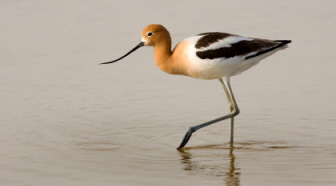 Along the shoreline of the island, you’ll see avocets, black-necked stilts, willets and sanderlings. The island grasslands provide habitat for long-billed curlews, burrowing owls and chuckars. The Great Salt Lake attracts incredible numbers of eared grebes, Wilson's phalaropes and California gulls - the state bird. Huge numbers of brine shrimp and brine flies living in or near the lake serve as a rich food source for these birds. It’s a unique mix of wildlife. Unlike few places in the world. Why Is It Named Antelope Island? 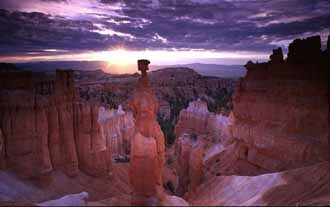 John C. Fremont and Kit Carson were the first white men to explore the island. It was 1845. After shooting two antelope, Fremont gratefully named the island after the animal providing them meat. But by the 1930's, there were no antelope left on Antelope Island. In 1993, a joint effort between two Utah state entities - the Division of Wildlife Resources and the State Parks and Recreation Division – reintroduced 24 pronghorn antelope to the island. In 1848, a man name Fielding Garr began building a ranch house on Antelope Island. He realized how fantastic a livestock range the island could be. Being a talented mason, he used materials found on the island to form adobe bricks to build the house. This house stands today and is a link to that era. It is the oldest continually inhabited Anglo-built home in the state of Utah. From 1848 until the island became a state park in 1981. It is also the oldest Anglo-built house in Utah still resting on its original foundation. The Fielding Garr Ranch is a wonderful gem of history. You can visit on most weekends between March and October. Check with the park for dates. In 1969, the state bought the northern-most 2,000 acres with an eye on its future recreation potential. It bought most of the rest of the island in 1981 thus allowing it to be preserved as a state park - Antelope Island State Park. It is now available for all visitors to enjoy. Antelope Island has a number of trails both mountain bikers and hikers will enjoy. Trail riders of all levels – from beginner to expert – will find a challenge here. Most of these trails afford stunning views of the Great Salt Lake. And the mainland. These trails provide riders and hikers numerous opportunities to view the island's wildlife. You can pretty much enjoy hiking and biking the Antelope Island trails year-round. Early spring and fall are the best. This helps you avoid the extreme heat of summer and the cold of winter. 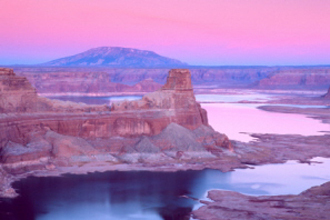 enjoy stunning views of a beautiful turquoise inland lake. savor the smell of salty ocean-like air. see thousands and thousands of waterfowl take flight over the mud flats below. spot bison and antelope roaming nearby. rejoice in the magnificent views of the Wasatch Mountains and a metropolitan city in the distance. And all in the same place! Antelope Island State Park rewards visitors with close to 20 miles (32 km) of trails suitable for hiking, biking and horseback riding. Even better, new and challenging trails are being continually added. 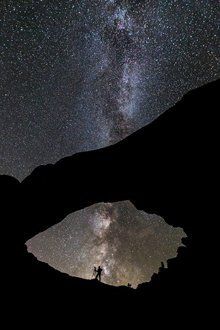 Guidelines set up by Utah State Parks and Recreation are designed to protect the unique mix of wildlife and resources on the island while still allowing trail access. Help protect this environment by heeding these guidelines. There is even a volunteer trail patrol. 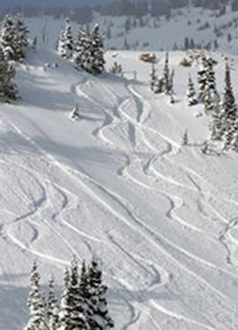 To help keep the trails a little safer as well as to ensure the guidelines are being followed. This helps preserve these trails and the island’s ecology for future users. May through September: 7 a.m. - 10 p.m.
November through February: 7 a.m. to 6 p.m.
March: 7 a.m. to 7 p.m.
April: 7 a.m. to 9 p.m.
October: 7 a.m. to 8 p.m.
September 15 to April 14: 9a.m. to 5 p.m.
April 15 to September 14: 9 a.m. to 6 p.m.
Day visits cost $9/$3 for cyclists and pedestrians. Antelope Island State Park is closed for Thanksgiving Day and Christmas Day. 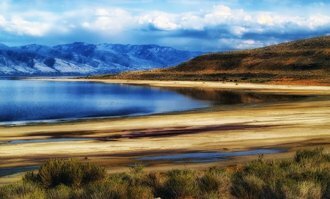 About Antelope Island State Park? How about an upcoming event to tell us about? 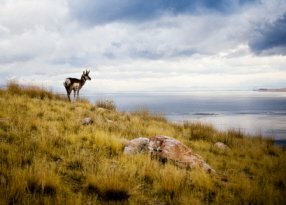 Tell us your story and show some of your photos of Antelope Island and give others the chance to experience it. People with whom you share your story get a lot of joy out of it. And it also adds to their knowledge of the outdoors. Show YOUR KNOWLEDGE and share your experience to friends who share your passion! your story or upcoming event will be placed on a separate webpage on our website. sharing your story or event is FREE. it’s as easy to do as typing it in. it will be available to you and visitors to this site for years to come! 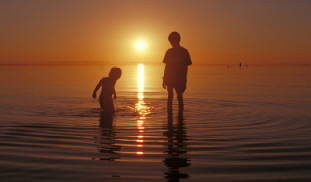 Have Something You Want To Tell Us About Antelope Island State Park? Do you have a great story about Antelope Island? Are there upcoming events on Antelope Island you want to tell people about? Share this info! Each entry will be visible as a link below and have its own web page. The Lakeside Trail hike will be meeting at White Rock Bay trailhead. NOT Bridger Bay. Thank you! Hogle Zoo at Antelope Island - Raptors!